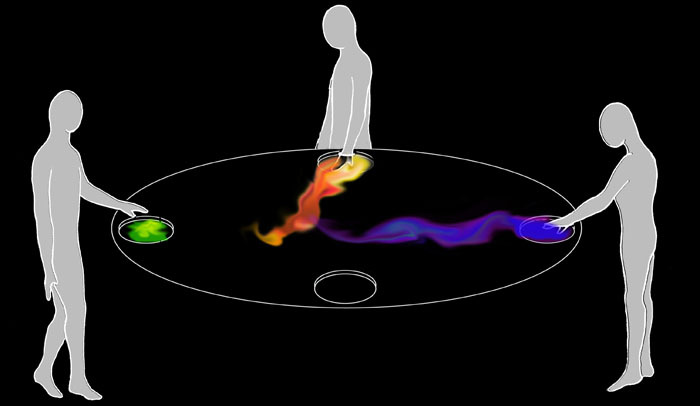 Fluides is an organic and reactive artwork where a sensitive water gathers energy from spectators’ hands. 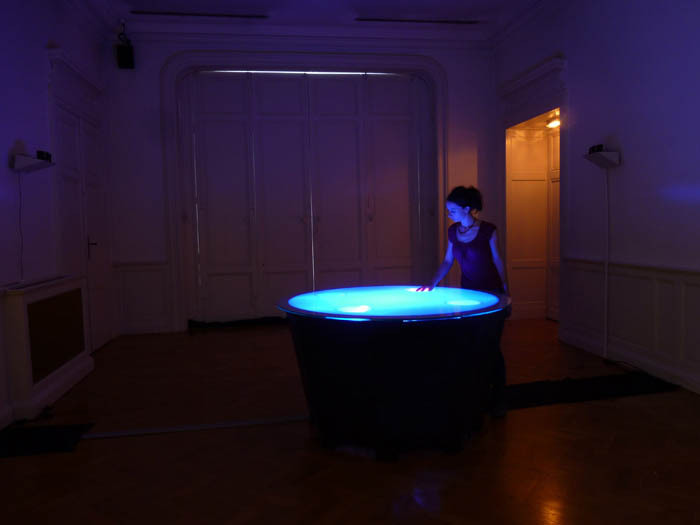 This water is a unifying thread which conducts bodies’ energies in the center of the installation through infinite sonorous and luminous fluids landscapes. According to the intensity of energy and to various interactions of audience, different luminous and sonorous waves appear and disappear at the surface. Evolutive sonorities, generated by audience compose meditative atmospheres. The installation concentrates spectators around a sensory artwork that encourages them to think about fragile relationships between bodies, energy, organic matters, lights and sounds. When someone touches the water lightly, it creates a luminous wave which shines until the center of the installation. Each light variation is accompanied by a sound which fluctuates according to the intensity of energy.